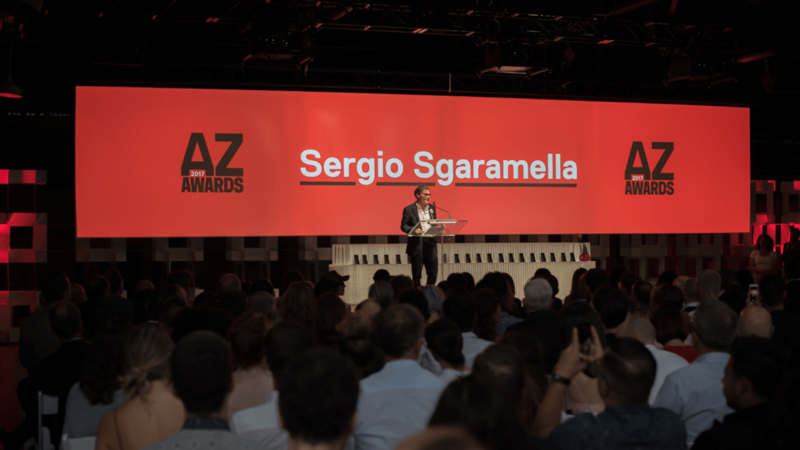 Each year, the AZ Awards reimagines its gala, which brings together more than four hundred of the top creative minds to celebrate the best architectural projects of the past year. 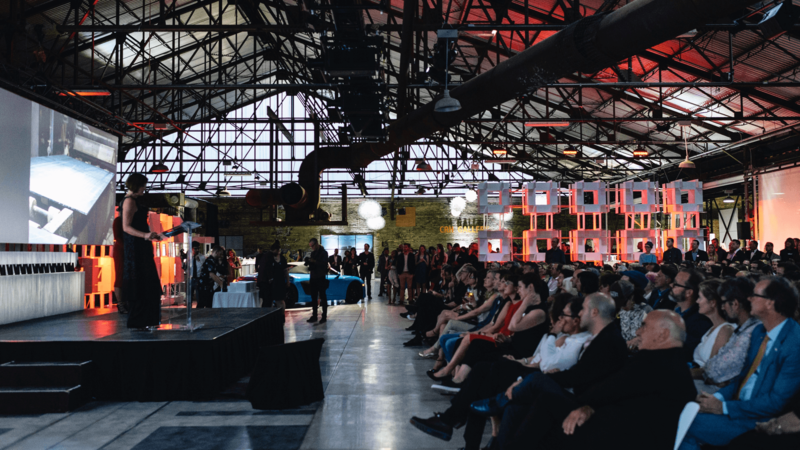 Hosted at Evergreen Brickworks in Toronto, the highlight of the event is an hour-long ceremony revealing the year’s winners. 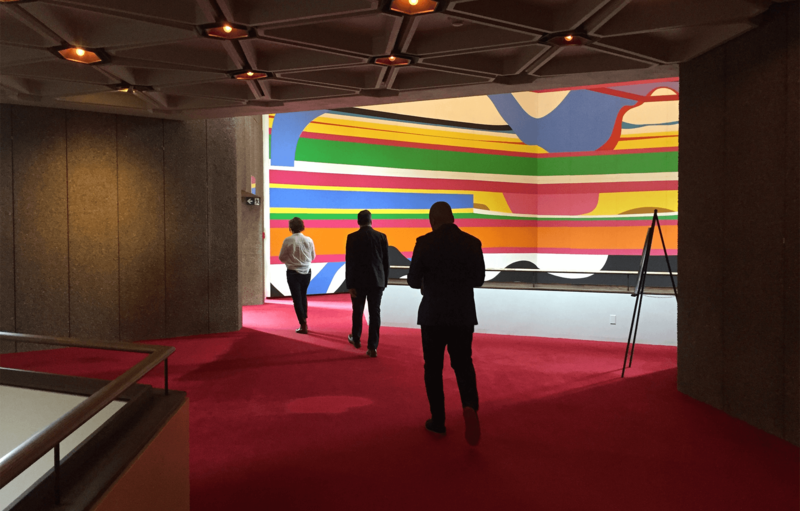 With over twenty distinct categories, the ceremony contains the same amount of content and number of production cues as a traditional three-hour awards show. 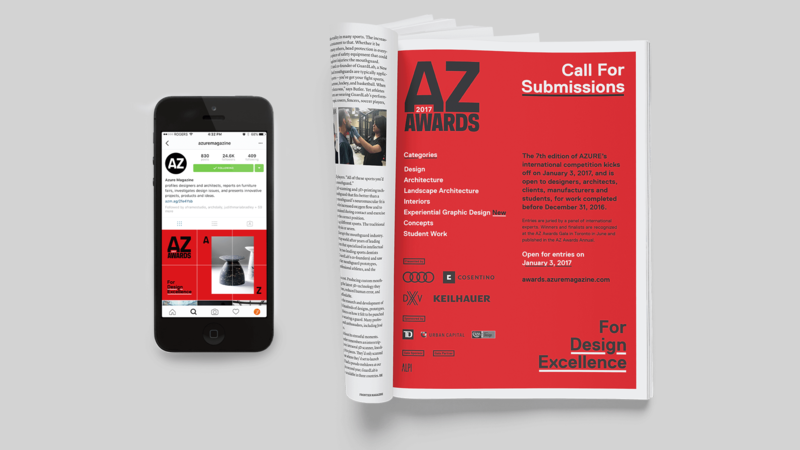 The AZ Awards partnered with Frontier to develop the vision for the 2017 show, design its visual identity, and roll out the various campaign elements—from a launch video to physical and digital installations at the ceremony. 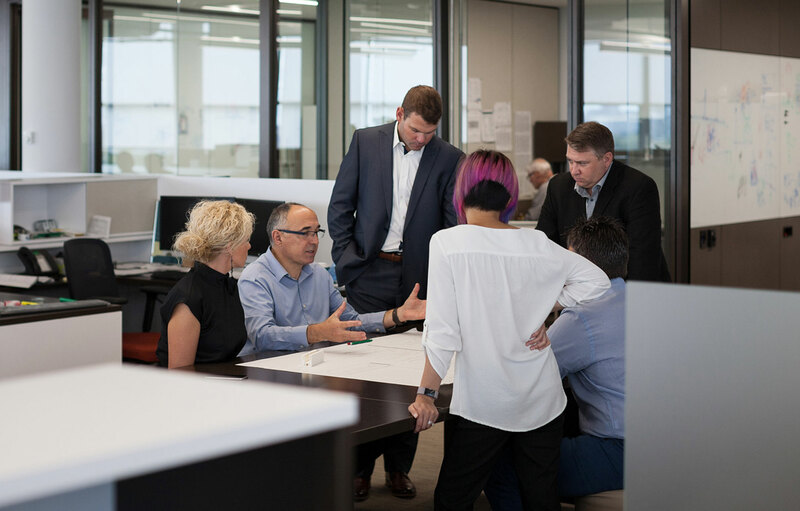 Frontier worked closely with AZ’s leadership team to develop an identity that was celebratory in tone yet reflective of the awards’ prestige. 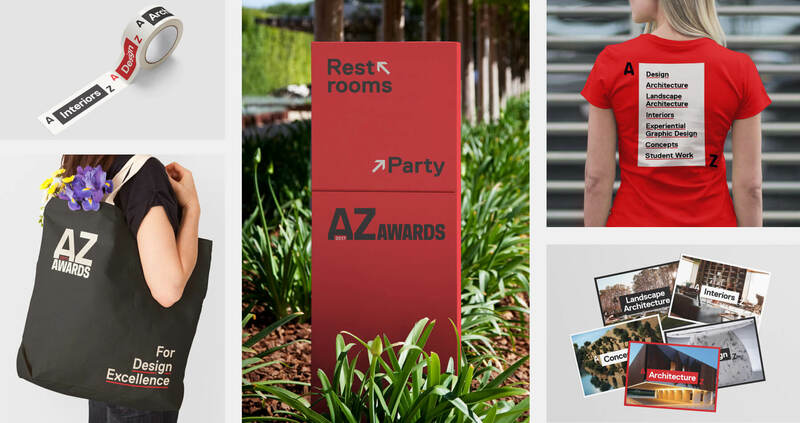 To highlight AZ’s role as a program for celebration, Frontier developed a flexible identity that used the logo’s A and Z to create an expanding and contracting frame that featured the various award disciplines. The videos we created for award night provided a cohesive narrative and were mindful of the potentially repetitive nature of the ceremony. Along with over one hundred video cues for category nominees and winner reveals, we developed five interlude videos using jury-member interviews to introduce each group of categories. The interludes were edited to reveal the jury’s appreciation of upcoming winners without identifying who they were referring to, creating brief, auspicious moments throughout the night. 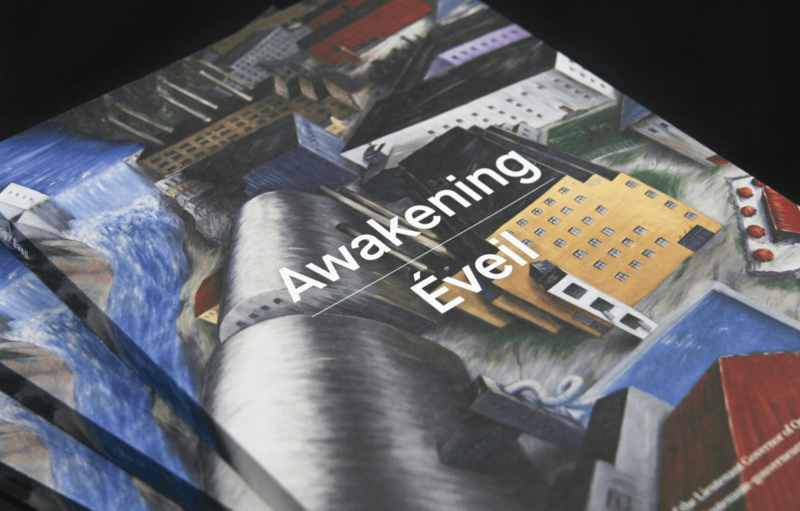 These were displayed on an unusually wide projection screen, equivalent to three 16:9 displays side-by-side, that we created alongside the event’s production team. The result was an impressive forty-foot-wide video system that formed the backdrop for the award show. Frontier also developed a simple system of die-cut, interlocking cardboard sheets to create a toy-like tower separating the ceremony space from the reception area, as well as smaller interventions through the event.